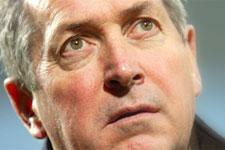 Gérard Houllier: This was a tough victory but a deserved one when you look at the number of chances we created. Some players were a bit low on game time and sharpness in front of goal. The score would have been very different had my players, such as Hatem Ben Arfa, better applied themselves to the final ball. I’m very proud of them all the same. 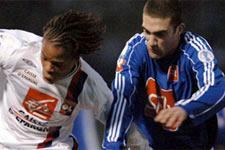 Rémy Vercoutre: The bottom line was to avoid taking risks so we wouldn’t fall into their trap. The opposition was very well organised. Bidegain’s goal was one of the best shots I have ever conceded. I clearly saw him take the shot then the ball floated and curved before ending up in the net. Bouet (FCAB keeper): Yet another free kick for Juninho, on the inside of the post. I only saw the ball at the last moment, and when it’s Juninho, that pays cash. Still, it was a great night despite the fact that we lost. I could handle Sundays like this al year round. Juninho: We’re happy to have won in tough conditions. Given the state of the pitch, we were worried about injuries. But we did the job. I’m happy to have supplied a decisive pass and then score with a free kick. Also happy to start the year with a win. Loïc Rémy: I’m stoked to have opened the scoring… 3 days after my birthday. For me it’s a great occasion to celebrate. It was a real cup match, with all the dangers that go with it. We expected a match like this. 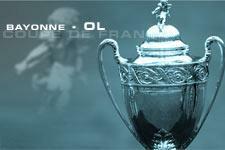 For its first match in the prestigious French knockout competition, OL pulled rank on FC Aviron Bayonnais. Having felt pain in his thigh at the last training session before the match, Grégory Coupet won’t be on the team sheet, as a precautionary measure.